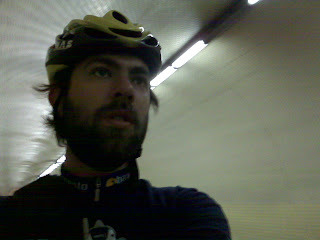 I took this a few weeks ago riding through the Stockton street tunnel. Going west, I almost always ride on the pedestrian path because I want to live. It's also a smoother surface. On the way down, I usually take the street because it's faster. SO DANGEROUS! stop this. i'll drive behind you and take pictures. or boy will, he's got time on his hands now.